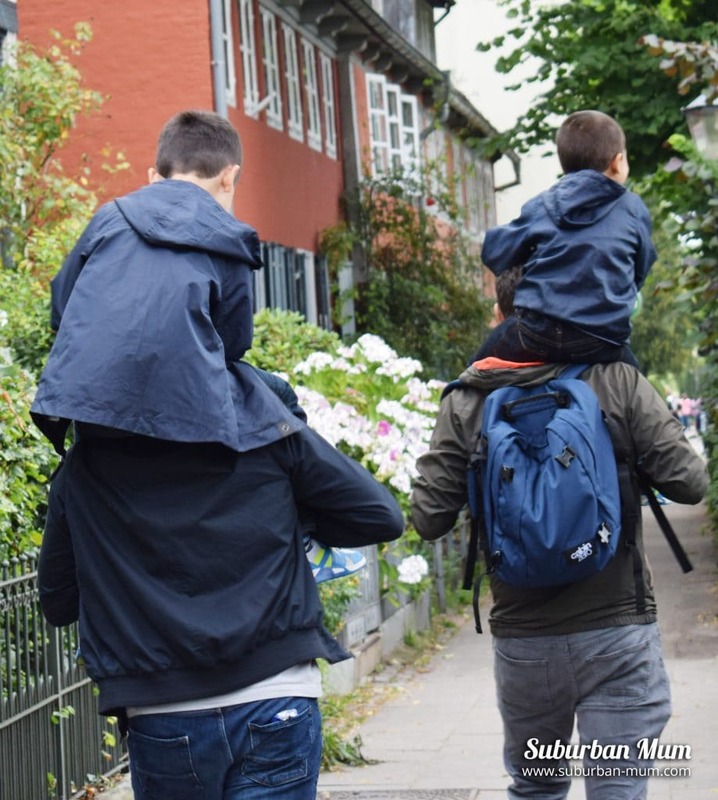 If you read our recent travel post, you’ll know that we went to Hamburg for a week in July. 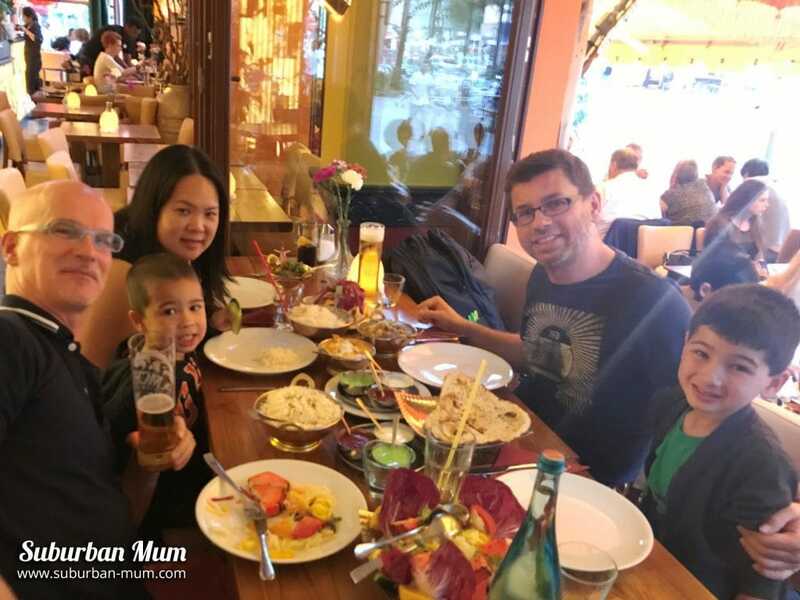 We’ve visited Hamburg a good few times in recent years, the boys love it there and it gives us a good chance to catch up with a family friend too. This time, we decided to venture a little further out and popped to Berlin for 24 hours. From Hamburg station, we took the InterCity Express direct to Berlin. 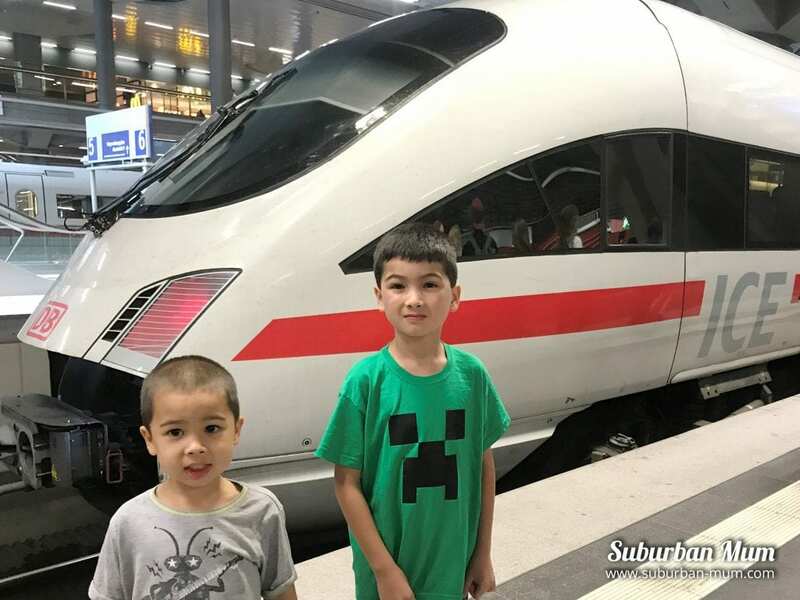 The boys were beyond excited at going on an actual high-speed train for the first time! The trains are very clean and the seats were comfy. Our seats were pre-booked so we just had to find the right carriage to board. There’s a Buffet Cart on board for teas, coffees and snacks. We managed to find time to grab some pastries and bottled water at Hamburg station beforehand. Free Wi-Fi is also available but I found the service to be a little sketchy. Thankfully I made use of the mobile Wi-FI we were sent to try out from Three. The boys were happy to watch the world pass them by but we packed their tablets too. The journey from Hamburg to Berlin took just under two hours with impressive speeds of up to 200 mph. It’s hard to pack light when you have kids! For our short trip to Berlin, we took E’s Zinc Flyte case which doubles up as a scooter. We need to buy M one too so that he can also do the same. We absolutely couldn’t do without our Cabin Zero bag – it’s a really comfy rucksack with lots of compartments and you can fit loads in. It’s hand luggage approved too so it was perfect for use at the airport too. Arriving in Berlin around 10.15am we checked into our hotel first before heading out to explore. We stayed at the H10 Berlin Ku’damm and booked a Studio Apartment which cost around €170 (£150). The hotel is centrally located to the main shopping street Kurfürstendamm Avenue and not far from the zoo. The hotel has a luxurious feel to it and is modern and clean. Our Studio Apartment was very spacious, the boys slept in the main “living” area on the sofa bed whilst we had a huge king size bed in a separate room. I’d have loved to have stayed here for a couple of nights to fully take advantage of the room! As the zoo was so close to our hotel, we took a leisurely walk to the entrance. It took around 15 minutes to walk. 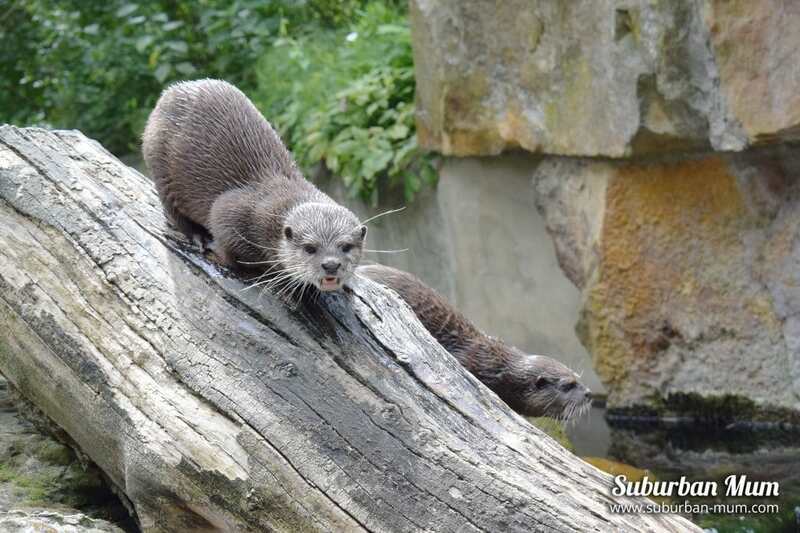 Berlin Zoo is one of the oldest in Germany and houses over 1300 different species and over 19,000 animals. 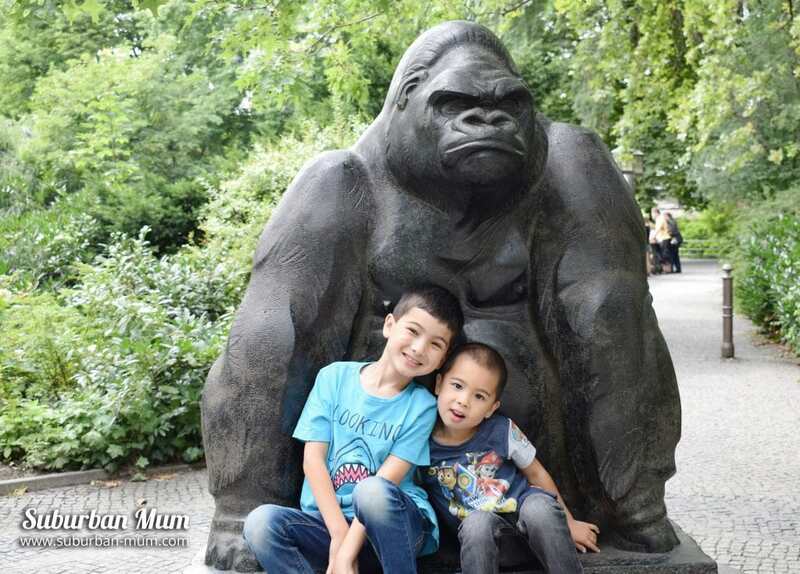 There is so much to see – Pandas, Bears, Penguins, Giraffes, Monkeys and more. We happily spent the afternoon there. 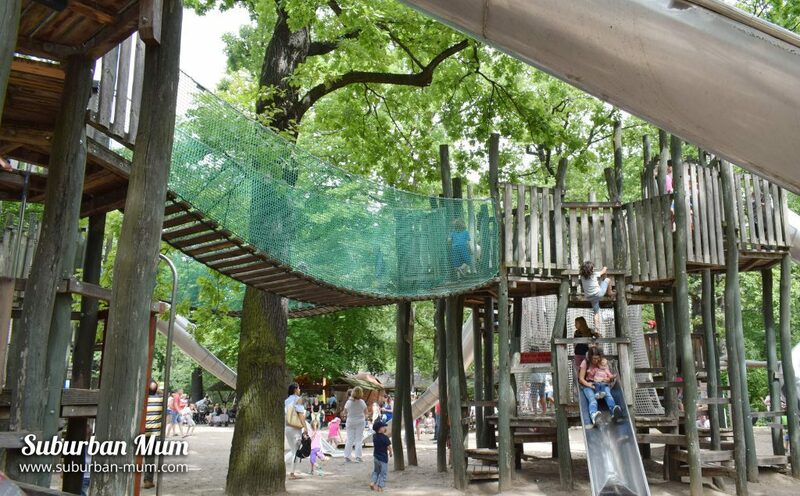 They also have a big adventure playground with huge slides and a pirate ship which broke up the day nicely and the boys had fun playing. We had currywurst at the Zoo restaurant – they also had a good selection of hot and cold food available.t The food is as you would expect from a cafe. If your children’s legs are tired from all the walking and they have outgrown the use of a buggy you can rent handcarts (like pull-along wagons). We wish we’d saw this sooner as it would have been very handy to pop the boys in and save carrying them on our shoulders. It would also have been handy to pop our bags in too. After visiting the zoo, we stopped off for drinks before heading back to the hotel to freshen up and have a rest before dinner. We took the Ubahn from Kurfürstendamm to Schöneberg and had a delicious Indian at Amrit Their restaurant was very impressive with lots of dishes we’d not heard of before. I’d highly recommend a visit – they have restaurants dotted around Berlin. After all the walking we did the day before (on top of all the walking we did in Hamburg too), we were quite keen to find something a little less taxing to do. 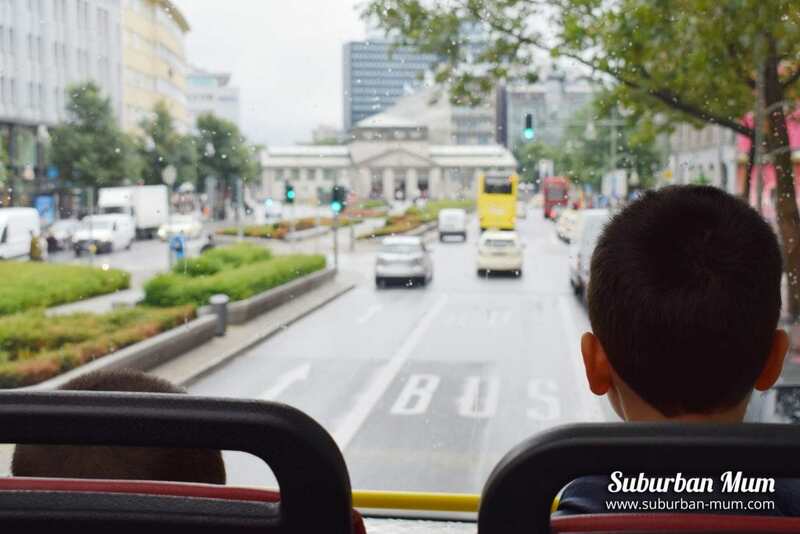 The weather forecasted lots of rain so we decided to hop on a Sightseeing Tour Bus around the city – the best way to see Berlin when you’re tired and it’s wet! There were hop-on buses not far from our hotel so we checked out and left our baggage with them to pick up later and headed out for the day. Tickets cost €19 each (around £15) for the day and the tour was really informative with a tour guide on the top deck who spoke both English and German. We were driven around Berlin, saw where the wall once stood, Checkpoint Charlie and a whole host of other landmarks too. The boys enjoyed sitting on the top deck of the bus taking in the sights and giving their feet a rest! The plan was to hop off to catch the U-Bahn and head to The Natural History Museum (Museum fur Naturkunde) for the afternoon before hopping back on the tour bus back to the hotel to collect our bags and head to the station to catch the ICE train back to Hamburg. It was a jam-packed day but we just about made it! We had a really nice time at the Naturkundemuseum. There is so much to see in here and the exhibits are really impressive. There were some fun interactive elements when we visited too which held the boy’s attention. 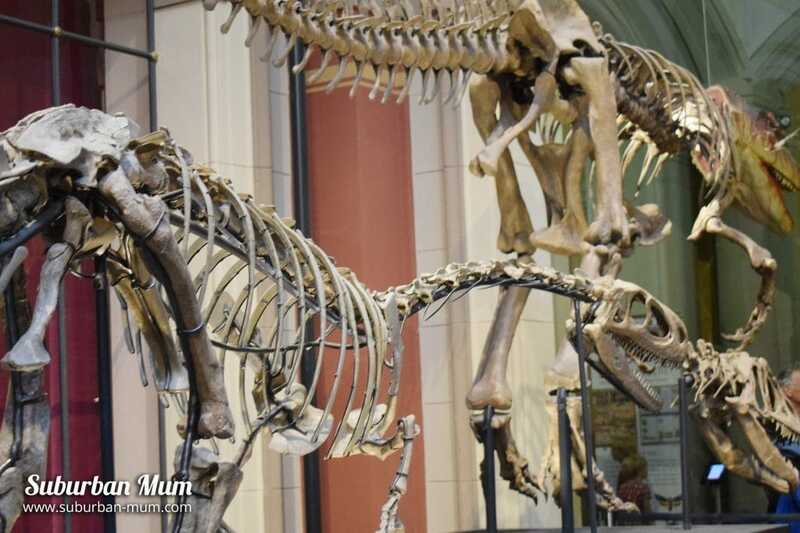 The Naturkundemuseum also houses the world’s largest dinosaur skeleton which is a whopping 13.27 metres tall as well as the primaeval bird Archaeopteryx. After spending the afternoon at the museum, it was then time to head back to our hotel to collect our bags and head back on the InterCity Express back to Hamburg. Have you been to Berlin before? Where would you recommend visiting? Sounds like you really made the most of your time in Berlin. 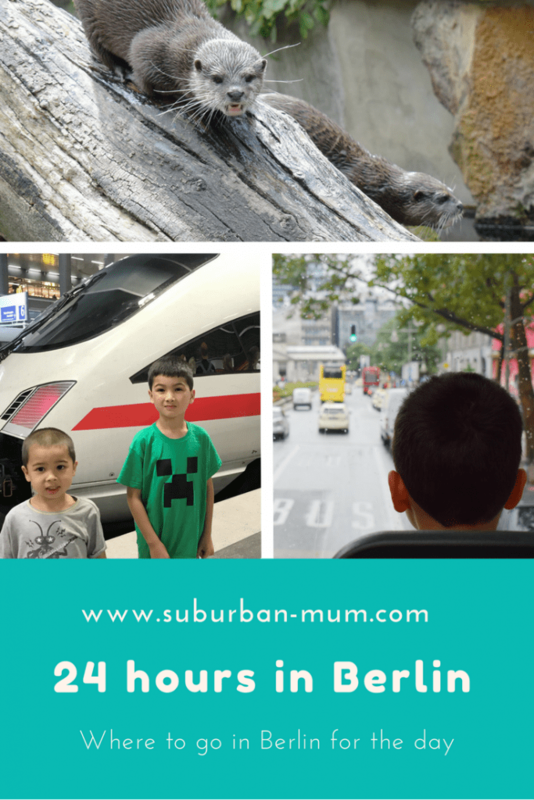 It’s one of my favourite cities, there’s so much to see and do and I’d highly recommend it to everyone.